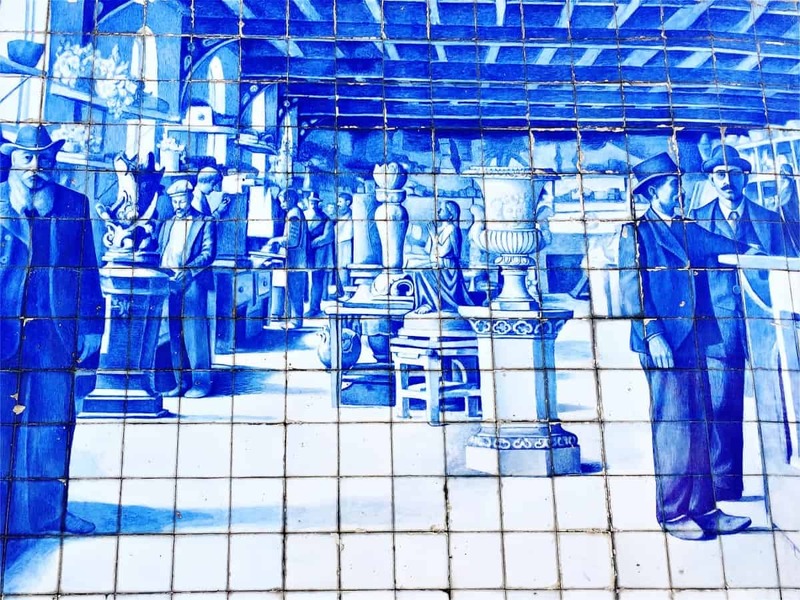 Fábrica Cerâmica e de Fundição das Devezas (Vila nova de Gaia), was the birthplace of one of the most prestigious industrial ceramic complexes and concentration of industrial artistic production in Portugal. The importance of this artistic pole was so important that it’s mark is still alive till our days. The history of this important industrial company must be told from it’s origin since founders and company are intrinsically connected. António Almeida da Costa (1832 – 1915); born in a family of stoneworkers, António Costa was one of five brothers of José da Costa and Maria do Carmo, all from S.Domingos de Rana near Cascais. His father, also a stoneworker , was a renowned artist, with collaboration in the works of the Palácio (Nacional) da Ajuda as official stoneworker in 1821. At least more three of his brothers would become stoneworkers. António da Costa arrives at Oporto ca. 1850 when, after studying in Lisbon, to work in the workshop of Emídio Amatucci, an important name in the profession. History it’s unclear if his move to Oporto was specifically to work with Amatucci or, if the later was appointed by José da Costa, as both had been colleagues in the Ajuda works. Also unclear, is the work itself with Amatucci, as apprentice or already as stonework officer. In October 1854, António Costa inscribes himself in (what was then the first lective year of) Oporto Industrial School, in the disciplines of Geometry and embellishment, being the only student to obtain approval after exam in that discipline. António Costa marries in 27 September 1855 with Emília de Jesus Maria, natural of Oporto, St.Ildefonso, and decides that after concluding his studies and his recent marriage that it’s time to leave Amatucci’s workshop. He establishes his own workshop in Rua do Laranjal, 68, with purpose of marble and granite works, very much appreciated by those days and with great demand in the Oporto city. The first years, his works were mainly marble charnel houses, graves and tombstones, and all sort of adornments for funerary use and much requested by the wealthy families of the city, with mausoleums as a symbol of statute and power. His remarkable works on this area made him particularly famous in the city. António was not alone in this journey. José Joaquim Teixeira Lopes, was born in 24 of February, 1837 (Trás-os-Montes) and arrives at Oporto about the same time as António Costa, to work in the workshop of Manuel da Fonseca Pinto, a sculpture teacher, who, by 1853 transfers that same workshop to Vila Nova de Gaia, to be near of the shipyards for whom he made figures for the ships bow. Along, to work with his master, came Teixeira Lopes. By 1857, Teixeira Lopes frequents the Industrial School, in linear drawing and approved as sculptor that same year. He was also a student at the Academia Portuense de Belas Artes, with teachers like João António Correia and Francisco José Resende, who saw him as one of his most prominent students. In the Imperial School of Paris (France), by guidance of his master François Jouffroy, he modeled one of the statues. Later that same statue (named “União faz a Força”), well received by the critics in the Cristal Palace exhibition of 1865, would become part of the catalogue of the Devezas factory along with others created by him. Feliciano Rodrigues da Rocha (1841-1930) was another important figure in the foundation and expansion of the Devezas factory. A stoneworker from S.Domingos de Rana, and fellow countryman of António Costa, fact, that may justify the coming of Feliciano da Rocha to Oporto. The collaboration of Feliciano da Rocha with António Costa can be traced back to 1868. Feliciano da Rocha two sons (of a total of 13) were to marry the daughters of Teixeira lopes, uniting the personal and professional relationship. At least three of his children were to found ceramic factories in Oliveira do Bairro and, Ermesinde, in what today is the Cultural Forum. 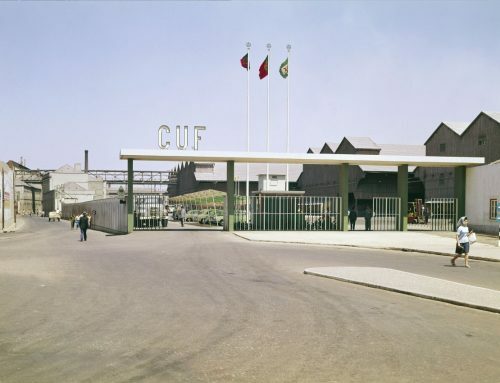 The exact historical date of foundation is still today confusing and it’s assumed that the factory would have been the result of the conjunction of various aspects and functionalities that António da Costa had been creating with different production units all in the same place in an expansionist business attitude. The conventional date is 1865, as stated in the main entrance of the building. Marble works were complemented with foundry works for a complete solution in the funerary artwork , making the factory self sufficient, presenting a complete in-house solution to all sort of supplies from stone to cast iron and bronze adornments for the tombstones and other funerary artworks. At the beginning most of the decorative figures used were in stone , slowly the factory shifted to ceramic productions, from the simple standpoint that ceramic figures would be less laborious and faster to mass produce than using stone. The union of stone works, ceramics and metal foundry, all in one place, alongside with superb craftsmanship, state of the art machinery and skilled professionals, made the complex one, if not the most prestigious in it’s arts. A perfect union between art and industry, and place for the practical formation of many renowned names in the art of sculpture. A prominent name, with skills developed in the factory was the son of Teixeira lopes, António, who would become the reference of portuguese sculpture in the first half of the 20th century, and one of the greatest in this field. The factory knew an expansion and renovation in 1899/1900, with the construction of many supporting infrastructures, a working class neighborhood, and an industrial design school inside the factory, providing formation to the workers. The buildings were renewed and decorated, making the factory ready for the new century. Distribution of goods was made mainly by the newly arrived railroad to Devezas, and also, from the Pampilhosa do Botão factory branch, also located near the railroad, with private rail tracks and wagons. The products were shipped nationwide and also abroad to Brasil (Rio de Janeiro). Diversity was a key element in the factory success, with illustrated catalogues ranging a multitude of art works, on demand production of special items and a complete range of products, complimentary between them, made the company a robust solution for anything from tiles, to household articles, construction products and, decorative arts. With a constant presence in International fairs and exhibitions and many awards winning, the name of Fabrica Cerâmica e de Fundição das Devezas, along the creatives behind it, were projected to the rest of the world, in ways that were never achieved before, and creating a standard reference for many ceramic companies that were appearing or would appear in a near future. Factory and it’s founders were almost a unique entity, in a management of great partnership, friendship and technological foresight. With the death of António Almeida da Costa (1915) and, José Joaquim Teixeira Lopes (1918), the factory died. A long period of decline and agony, lacking creative rhythm , innovation and ideas transformed an industrial giant into a moribund structure, until mid 1980’s when the factory definitely closed. 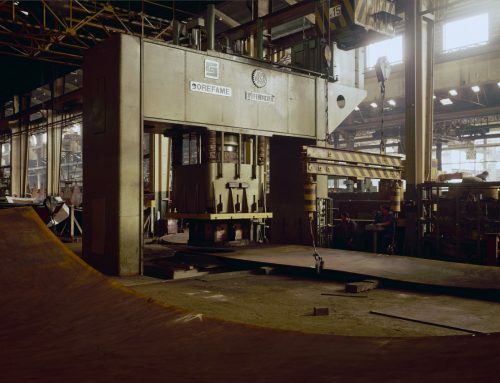 Soon after, the industrial legacy was recognized, it enters in a troubled period with many small disputes and ancient quarrels dragging the classification as Industrial Patrimony by the DGPC to a long battle . Classification and recognition by the government authorities was eventually achieved, but nothing was in fact made to ascertain the conservation of the infrastructure or it’s use to further projects dedicated to those who contributed so much to the expansion of the ceramic industry in Portugal and it’s many creative facets in that area. A museum was projected to be born at the site but until the present nothing left from the intentions put on paper.